Celia Jones [CJ]: This is Celia Jones interviewing Joan Ede in Lostwithiel, Cornwall on 18th January 2016. So [Joan] tell me about this quilt that you’ve got here? 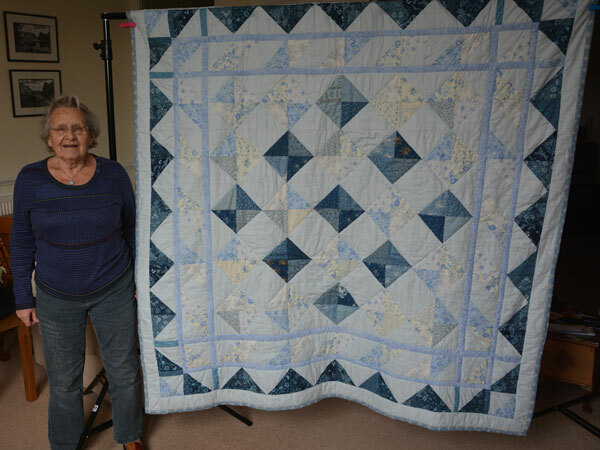 Joan Ede [JE]: This quilt was going to be my last… [Pauses] [Interviewee holds back tears]. Start again. JE: This quilt was going to be my last ultimate quilt. I always wanted to make a blue and white quilt but never did. They always turned out reasons to be other colours. However, having find I couldn’t drive the car I could drive the sewing machine… [cries]. So having got through the tears then the temper I decided I would drive the sewing machine and make my blue and white quilt and this is it. I bought all new fabrics, no scraps, no bits, didn’t really know what I was going to do but went to our nearest quilting shop and had a chat with Jo Colwill who was wonderful. Looking for a base material I thought to use batiks but she suggested a stripe. Well, I’d never used stripes as to keep a straight line that was not on my radar but this is a tiny pencil stripe so if I don’t go straight won’t matter. So I was then on the way. The design also came from a book by Jo Colwill, and something I had never done before I started in the middle of the quilt. I had always made blocks and done strips of blocks which I joined. But this I made the big central block and then went round that block to get to the ultimate size and when I got to the very end of the quilt I’d run out of material. So another indulgence, I really like William Morris and I had a pack of William Morris fabrics in shades of blue and that finished my quilt. My quilt is now complete, I love it, it was going to be the last quilt but I’ve done two or three since then. This one is all based on squares and triangles which is all I work with now and I find that if I use pre-cut fabrics like Jelly Rolls, Layer Cakes, et cetera that’s wonderful because I no longer need to use a ruler and a cutting board. So there you are. You can do something, might be something you can’t… [cries]. CJ: So, you mentioned, Jelly Rolls and Charm Packs I think. Can you tell me what they are? JE: They’re packs of fabric cut to shape. A Jelly Roll is always 2.5 inches wide and you get between 30 and 45 strips of fabric, usually 42 inches wide each one, which you can cut up into rectangles, 2.5 inches squares or whatever length you want. But they’re all a set width. A Charm Pack and Layer Cakes are squares, well, different some are 5 inch squares, some are 11 inches squares, there again you can make them into triangles or what you will. I love them. CJ: And you said you were, you thought this would be your last quilt and this is because of your failing eyesight but you are managing to keep going with sewing? JE: Oh, well yes, you just do what you can do. No good going on about what you can’t do, you can’t do curves very well because that’s more difficult but if you’re always doing a straight line in some way you can put a piece of masking tape on the fabric or even draw a line with one of the fading pencils and you can manage. If it doesn’t go right doesn’t matter, only God is perfect and a blind man would like to see it wouldn’t he, so? CJ: So this is a very special quilt for you because you’d always wanted to make the blue quilt. But all of the fabrics on it are new are they? JE: Well, yes, because you always have a lot of scrap quilts and you have a bit of material left and you think if I had a few other bits to go with that I would make a quilt and it never comes out the colours that you wanted it to be. Or it’s for somebody else who wants different like the grandchildren want bright, what I call gaudy colours. This one is my choice, my quilt, my colours and fabrics, but I’ve since had scraps left from it and I did make three cushions from there but they went to the charity sale. CJ: So how do you use this quilt? JE: On my bed in the summer and it does look lovely on a summer’s day with nice shiny fresh white pillow cases underneath and it all looks neat and tidy and that’s what I like things to be [chuckles]. CJ: So, this is all machine made is it? JE: Yes, it is all machine made. I can do some hand sewing but that’s not easy so this is all machine pieced and machine quilted. CJ: And in the past you’ve done handmade quilts have you? JE: Yes. And I like handmade quilts, I probably prefer machine pieced quilts ’cause they’re a bit more stable than… but I always preferred hand quilting. I like hand quilting it’s a much softer and also it’s very comforting to sit with a quilt on your knees when you quilt it. Nice and warm. CJ: When you were talking about quilting you’re talking about putting the fabrics together, joining the fabrics together when you say hand quilting? JE: Yes. Yes, when you’ve got your top layer made and then you have your backing and in the middle you’ve got your wadding or batting as it’s sometimes called, all three layers are fixed together and then you’ve got to quilt them to keep them together. And that’s when the machine quilting came in. CJ: And have you used different styles of actually the quilting sewing have you? JE: In hand quilting it’s always been the small tiny stitch I always liked, I have tried doing, which ideally you can get up to 12 stitches to an inch, I’ve never been as good as that although some friends have done that. I can probably manage eight when I really tried but then that wasn’t fast enough so I went down to probably five or six. 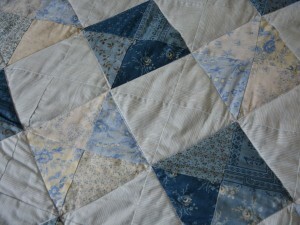 But machine quilting you just keep going in the ditch which is down in the seam or across squares. Sometimes I’ve put on a piece of paper perhaps in a heart shape or a leaf shape and I’ve machined around that. The other thing I’ve done if you’ve got a block with diamonds and hexagons in it on a plain square next to that I’ve machined outlines of diamonds and hexagons to reflect the pattern in the materials. CJ: So how did you get started on quilting? JE: Well, I’d always done my own dressmaking, when you’re under 5’0 you have to, quite good at shortening trousers. And I was asked if I would like to go with a friend to do a course on bargello quilts and I thought, ‘Well, I can machine, I’ll do that.’ But I couldn’t do it because on dressmaking a seam is 5/8ths or you can take it in or let it out. But in quilting quarter inch is a quarter inch, not 3/16ths or 5/16ths because by the time you get across five or 15 or 20 seams you’ve either lost or gained an inch and you can’t fudge it as they say. CJ: So you have to be accurate? JE: Very and so I decided that perhaps I should start at the beginning. So then I joined a course [coughs]. CJ: So how long ago was this? JE: Oh, about 25 years ago. Long time. CJ: And have you been on other courses since then or? 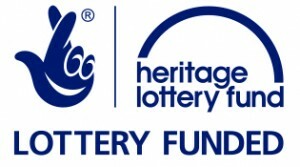 JE: Oh, well, I joined the course down at Tywardreath and they had speakers and we had somebody who would come in and do a day workshop and we all did projects together and I also went to exhibitions and listened to speakers. And of course you discover quilting shops which in the past 25 years have sprouted up everywhere, that’s like going in to an Aladdin’s cave really. CJ: So you mentioned exhibitions, what exhibitions have you been to? JE: Malvern and Birmingham and, of course, local exhibitions around in towns in Cornwall. Launceston. Can’t think where else I’ve been, well, at Cowslips… they have lots of exhibitions and very well-known international speakers, that’s our nearest quilting shop. CJ: And have you been to exhibitions of older quilts? JE: Yes, I have. I went to Bath and I saw all the old quilts there, some of them I loved but I don’t think I want them over my knees they were a bit tatty. But I loved looking at them. And what else did I do, old quilts? Well, one of our local people, Amanda, comes to show us she collects old quilts. 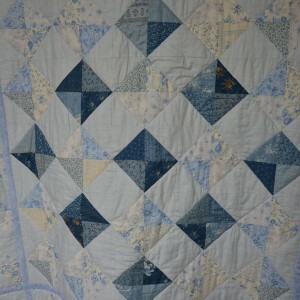 And of course lots of my friends have got very old quilts. Some going back to the sort of Victorian age quilts. CJ: How do you get your inspirations for your designs? JE: Oh, watching what other people do and going around. One particular thing I really like is looking at cobbled streets, in particular I went to Durham and I saw all the sort of cobbled streets there and there was a lovely book in one of the bookshops about cobbled streets and patterns and how they were laid. I wished I bought it but I didn’t and from there I went up to Newcastle. And again there were all these lovely cobbled streets and if you look at the patterns in cobbles they’re very much like designs in, well needlework in particular, I can’t think of the name now, but on shepherd’s smock the designs they do to pad the shoulders are very much like the designs on the cobbled streets. I don’t know if the husband laid the cobbles like his wife did her embroidery or did she do the embroidery the way he laid his cobbles? I, I don’t know, just a thought. And also in church, if you look at church floors they’re very often tiled in lovely designs and if, and old houses also the floors are tiled. And in our local church at St. Winnow they have a tiled floor and one tile is the wrong way round and a few years ago they took up all the tiles to re-lay, and re-lay the floor and everybody insisted that tile went back the wrong way round and it’s still there the wrong way round. CJ: So, do you make mistakes like this in your quilting then? JE: Well, of course I do, like the Shakers said, ‘Only God is perfect.’ And I’m willing to go along with that. CJ: How do you, how do you manage now that you can’t see as well? What, ploys do you use? JE: Well, using the sewing machine if on the base of the sewing machine, if you put a coloured card about 4 or 5 inches long running along with the presser foot you can keep your fabric along there and you put your hand on the coloured card and not as I’ve done even before when I could see very well, under the presser foot when the needle goes straight through it I still do that sometimes I manage that. Or when you’re going across a square or something you can put a strip of masking tape or draw a line to follow. I just wish they would make masking tape in colours other than muddy cream, but you manage quite well. I have in threading the sewing machine that’s a pain, having sat for 20 minutes once to try and thread the needle. I threaded the needle only to find I’d used the blinking cotton that came from the bobbin and not the reel for the top thread. But you can, hand sewing isn’t possible, threading needles again is difficult. I find if you push your needle into a cushion so it stands upright, hold a piece of card behind it you can see the light on the eye a lot better. So you manage that. And other people thread my needle for me. That’s it, you do it. CJ: The room we’re sitting is as well as your lovely quilt here you have other beautiful quilts in different styles. What style of quilting do you like most? What kind of designs do you like most in your quilts? JE: Usually I’m quite orthodox. I like things very sort of symmetrical, I’m not an abstract person. And, yes, I suppose straight lines I use quite a bit, I like to use colour that gives a design. I do have some, one I’m sitting on is a design I found in a book that was using a Jelly Roll which was when I first had problems and I could cut it all into the strips that I needed and that was, I enjoyed that. The other one actually over on the other bed, that was, I bought three boxes of little 2.5 inch squares that were being sold cheaply at the local quilting shop, I felt like a girl in a sweetshop I spent hours putting them into a design really, I loved it. Back to my childhood. Hm. CJ: And who, who have you made quilts for? JE: Oh, well I have three daughters and eight grandchildren, friends, other members of the family, some you make to give to sales, anybody who likes to take one at the point now. The children, when I say I’m doing another quilt they sort of think, ‘Oh gosh, who’s that for?’, hoping it hasn’t got their name on it [laughs] [coughs]. CJ: Where, where do you go for your quilting now? JE: Oh, I don’t belong to a formal group where they have tuition and classes, not entirely because I can’t see and to do it but I really feel I’ve come to the age when I sort of, my brain is saturated with what I want to do. And so I go to a local group which is just a group of ladies who meet together to sit and sew really. But if you get to know these ladies they’ve got a wealth of experience and knowledge and you can exchange knowledge and ideas, help each other, we share joys and sorrows, put the world to rights and there we are. I thoroughly enjoy it but we have no formal management team I suppose you would call it. We don’t have a committee or a chairman. One lady takes responsibility to collect the money and as soon as we have more than £100 we give it to the Chapel who own the room where we meet and we take it in turns to make a cake, which is part of life isn’t it? CJ: Absolutely. And how long’s this group been running? JE: Ooh, possibly about 16 to 18 years. 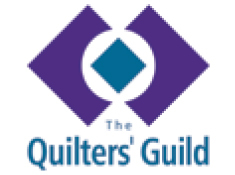 We started up after I joined the serious quilting group. Another friend who was quite an experienced quilter suggested we might have a local group in our own town and we got together to meet in the little local church and that’s how we started. And still the ladies make quilts and other items as long as you’re just doing anything with a needle it, it’s OK. And a lot of things they’ve given to the church fates and Christmas fairs and made many things for grandchildren to give to their school fairs and fates and things. And, as long as anybody wants to go and sit and chat and quilt, it’ll hopefully still keep going. CJ: Do you ever work cooperatively with other people on things? JE: We have done in the past, we have done that. One lady who was unable to finish a quilt asked if our group could help and one of our members did complete the quilt for her and finished it. Another lady sadly had died and her husband came to see us to ask if we could finish a quilt which she had more-or-less completed and a group of ladies did that. And at the moment another lady has all her blocks completed but she can’t face putting them together so that’s our latest ongoing project. We also cooperated together when the church found in the vestry a very beautiful cope I think you would call it that the vicar would wear at weddings and special occasions and it had been made from his wife’s wedding dress. But sadly somebody, no name although we all know who did it [laughs], had hung it on a wire coat hanger which had, and it had stayed there for about nine or ten years if not longer, and it had all frayed through the lining and a bit through the shoulders and round the bottom where the mice had been living in the cupboard it had been sort of gnawed away. And three or four of us got together and relined the shoulders and did the repairs. A lady who had belonged to The Needlework Guild in London she’d been to the, oh what is it? The school of needlework in Bond Street, she was very talented, she did invisible mending and we bought new braid to go around the bottom of the quilt or cope rather, and the vicar at the time wore it at weddings and Christmas and Easter festivals and it really is a beautiful cope. CJ: Lovely. So what has quilting meant to you in your life? JE: Well, it means that I have no time to just sit and be miserable and I’ve always got something to do, there’s always an unfinished object. It also means there’s lots of bits of cotton and pins on the floor but you’ve always got something to do and of course you’ve always got friends and the social side that comes from quilting. And I don’t know what I would do if I didn’t quilt, I do read or I did read quite a bit but that’s a sort of a non-productive and I don’t like just to sit and not have an end product. CJ: They’re very beautiful quilts. We didn’t talk about the back of your quilt at all and I’ve just noticed how lovely it is. Can you tell me a bit about that? JE: Oh yes, I can tell you about that. In another moment of madness I saw in a sale a really lovely set of sheets, a top sheet and a bottom sheet and pillowcases. Normally they would have been way beyond my buying possibilities but it was in the sale and I persuaded myself it was a good idea. The top sheet, I think my granddaughter ended up with that ’cause she liked it and the back of this quilt is what was the bottom sheet. And I really liked that so there it is. So that’s it I suppose. I did say that it was all new fabric but that piece wasn’t new but it’s still lasted. Possibly I think because I stopped using flat bottomed sheets, I moved with the times and used a fitted bottom sheet so this one stayed in the cupboard. Now it’s on my quilt. CJ: And what, what’s the batting that you, what’s the batting that you use in your quilts? JE: Well, [sighs] batting has changed over the years since I’ve quilted. There never used to be very much choice, it was all a 2oz loft as they used to call it. But now you can get, it’s like a type of wadding, and now you can get very fine thin wadding suitable for a little baby’s quilt or you can use something much heavier if you want to make a heavier item like inside a tea cosy. And then it went to sort of different, instead of like a wadding it’s almost like a fabric, rather like I would describe it old-fashioned lint. And I believe now that you can get wadding where some local farmers let the local weaving groups weave a form of wadding to go in quilts but I don’t fancy a sheep on my knees in bed I don’t want that. CJ: And one of the things that you mentioned was early on you did, a bargello course of quilting. Can you explain that a bit? JE: Oh dear, yes. That was, that was a big, big learning curve that was. I’d never made quilts and I just thought it was bits of material you put together. And this bargello I never did another one afterwards [clears throat]. You have strips of fabric which you join together along the long length to make one big piece of fabric which is then made into a tube and then you cut strips off the tube and open the tube in a certain place. So perhaps you have fabric number four at the top of the strip. Then the next strip you cut off you open it up on the next seam so instead of strip number four being at the top it’s down on the second one. And then of course these people who were very talented went on and you do wavy lines a bit like watermarks on books that you used to see and they put in things that they called spacers and did all sorts of wonderful things. I did complete my bargello quilt at that course, it only turned out to be like a little cot quilt and I haven’t done any bargello ever since. That, and that was where I learnt that a quarter inch seam really had to be a quarter inch seam not 3/16ths. CJ: You’ve talked about your own quilts what, what do you look for in other people’s quilts? JE: Oh, I like to see the colours they’ve used and I always think why didn’t I think of that and of course their designs and look one time I used to look and try and see did all their points match, had they made any mistakes and things. I don’t do that anymore because well if I do that to other people I don’t want them to do that to me and there’s lots of mistakes on my quilt. But and you get ideas and of course it always says at exhibitions, ‘Don’t touch’ or you put on white gloves to touch it and I quite understand that but I think one of the lovely things about a quilt is to hold a quilt and put it over you whatever, I like that. So yeah, I like looking at other people’s quilts course I do, yes. And I think where did you get that piece of material and then perhaps I go and get a piece of that material and I think well what am I going to do with that, didn’t really want it did I? There you go. CJ: Have you used old fabrics at all? Have you recycled fabrics in your quilting? JE: Oh yes. I have used old fabrics and of course when I started quilting you didn’t really buy a lot of material, there weren’t all these quilting shops. I think the one designer I can remember was Debbie Mumm and that was an American designer. But generally of course you had scraps from dressmaking and that sort of thing or you did sometimes go and look at, charity shops and you could buy fabrics there. And at the group I went to we used to have two or three traders who came selling fabrics as well if you bought it from there but not necessarily quilting materials. I don’t think I actually in the very beginning bought specifically materials that were designed for quilting, not like you would buy now where they’re all colour coordinated and you can’t really mix one set of designs and fabrics with another easily, they’ve got a different number of threads to the inch and their colour dyes and things don’t go with other makes and things. So you tend to buy a lot more material than you really want, you’re tempted. Hm. Often. CJ: So do you end up with a lot of fabric that you don’t use then? JE: Oh, of course that’s why you always think I’ll make a scrap quilt and then you buy another bit of material to use your scraps and you got some more scraps then. And occasionally I put ’em all into a bag and give them away and I have seen friends who’ve made quilts and things and I say, ‘I love those materials.’ ‘You gave me that.’ they say, and I think, ‘Why did I do that?’ There you go. Went. CJ: Thank you very much, Joan, thank you for telling us about your quilt.